Minnesota Statutes requires all CDL holders to certify the type of commercial operation they’re engaged in. All commercial driver’s license (CDL) holders, Class A, B or C, must complete and submit the self-certification form for initial, renewal or change in class application. All CDL holders with a school bus endorsement MUST submit a current medical examiner’s certificate. If there is a change in your medical status or interstate/intrastate status you MUST provide a new self-certification form. Commercial Driver License Medical Self-certification Form – download the form here Minnesota Driver and Vehicle Services Division. For all other concerns you can call 651-297-5029. The MN DMV took my class A. No tickets accidents always passed drug tests I’m the driver you want behind the wheel–too bad so sad they don’t care. I didn’t get the information about the health card/registration. I moved overseas, gave them my new address in case anything changed, discussed at length with them about any new laws before I left. too bad so sad, they said they sent me two letters warning me that my A would be pulled. I did not get them. I did leave them my German address. They were too lazy to put it into their system. Thanks DMV. Thanks again. I am glad I don’t live in the U.S. anymore. My way of earning a living is gone oh but they said I could go back to school and earn another A CDL. Wasn’t that useful information? Thanks for nothing DMV and good bye U.S.A.
the same thing happened to me, even though, i brought the medical certificate to the DMV in Prior lake, MN. When i called the commercial vehicle office, after being on hold for 27 minutes, they are smug and unhelpful. The driver shortage is going to get worse because i am not going through the steps to reinstate. (Thanks MN DMV). My driving record does not even have a parking ticket for the last 15 years +. Why do they need a copy when you must carry a valid copy…..job security for DMV? My Health Card expires in about 3 weeks and I went in for my DOT physical in Minnesota and was told that because I have a broken ankle they will not even do a physical until I the ankle is completely healed and from what they said I can’t even get a 45 day extension, is this true? Yes, you don’t pass the examination requirements, so the CME is saving you the hassle of failing you on the spot. Get healed up and then go for the examination. You might want to inform the state drivers license department of your situation so they don’t downgrade you before you can pass the certification process. I just got my new medical card and my old one expires tomorrow and I can’t get to the dmv till after the expiration date. Do I lose my cdl? do I need a dot physical to drive a type three van transporting less than to students with a class d liscense? I was diagnosed with epilepsy in 1986. I was on medication that stopped the seizures successfully. 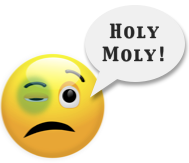 My doctor took me off of medication (dilantin) in 2005 and I have not been on medication since then and I have been seizure free for more that 20 years. Is it possible for me to pass a DOT physical? Or does this completely disqualify me? I have scanned digital copy of my medical examiner’s certificate that is accessible from my phone or any device through the cloud in high definition. Is it acceptable to only have the digital copy in state of Minnesota? It has all the information about the examiner, signatures and related information. Moreover, digital copy does not wear out unlike paper copy. Although it’s not a digital record, it is a digital copy that resembles the original one to one. We focus on federal regulations, and cannot speak for MN state. However, a clear digital copy should suffice for any traffic officer, as long as you have submitted your current medical card to your local DMV to keep on file with your drivers license. Can I keep my CDL with out a ME if I’m not going to use until a later date? No, if your local drivers license department does not have a current medical certificate on file they will downgrade or suspend your license. Each state treats this downgrade/upgrade process differently. Best to contact your local DLD directly to find out what you need to do if your medical card has already expired. My husband had his DOT examine ,he is on blood thinner but his blood count was abnormal when he went in for his pro-time check due to having to taking Tylenol for a headache, can the DOT legally pull his license with an abnormal blood test?? The examiner cannot pull a drivers license, he can only control the medical card. You may want to go for a second opinion, now that his headache has subsided. I took a dot physical in October 2016 and received a one year card. However I had to go to the hospital in February of 2017. Do I need to get a new physical now? FMCSA says yes, according to the guidelines and federal regs. I had heard that a DOT physical needed to be done by a different physican/NP other than your regular medical physician. Is that correct? A DOT medical certification should be done by an FMCSA certified medical examiner. Your regular medical physician cannot do the physical unless he/she is FMCSA certified to do this exam. My brother-in-law just failed his 2 year re-certification physical because he was considered over weight. The Dr. gave him a 3 month certificate and said he needed to loose 12 pounds in the next 3 months! I have never heard of the regultions being so strict before….if this is true a lot of truckers and school bus drivers will loose their job. Please let me know of any restrictions concerning weight and neck size! There is no such a thing in the federal regulations. So there must be something else that is getting the CME all excited. How does a 12 pound weight loss move you from over-weight to normal? If my DOT physical expires on 6/9, but I don’t get it done until the end of the month will my CDL be downgraded? Each state treats this process differently. Check with your local drivers license department to be sure. Just can’t drive until you get your medical card in your hand don’t get caught with out it they will fine and pull your license. I had a full physical in December if I want a health card now does that physical still work or do I need another physical ? 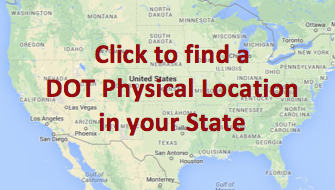 You need a complete new DOT physical for a DOT medical card. I just got my DOT physical to renew my medical card in Mn and the nurse said I don’t need to bring anything to DPS since it’s in the data base. Is that correct, or do I need to bring a copy to my local DPS? The medical examiner’s office submits information online to the Federal/NRCME database. It is the driver’s responsibility to ensure that a copy of the new medical card is updated with their driver’s license at their state driver’s licence department. The SDLA may also require an updated self-certification form. Yes he can get a medical card. 18 -21 years old for intrastate, but confirm this with your local drivers license department. Do I have to get a health card before taking the CDL test or do I have to wait until after I passed the CDL and all the endorsements? Most states want a medical certificate before the cdl exam. But check with your state drivers license department to confirm. How do i get a replacement card if i lost mine? Call the office where you had your physical done and find out what you need to do to get a replacement. do I need a health card to drive a 1 ton commercial truck in the state of MN with no trailer, under 10K lbs. If I still need a DOT exam for my Class D driving for a private company, and they run my urine. They can only test for what? My employer specifically told me that it WASNT a drug test. The urine test is just a kidney screen to test for sugar, protein, and blood. It’s done to determine that there is no early onset of conditions like high blood pressure breaking down the kidneys, or early signs of diabetes, or kidney infection. A1c’s are only looked at when there is a sugar spillover in the urine. Which means that they need to be in the normal range. If you believe that Minnesota has a different set of standards, then check with your local drivers license department. Yes. A Federal DOT Medical Examiner’s Certificate (Interstate) is valid nationwide so you can get certified in any state, no matter which state you have your CDL. I have a question that goes with this. I have a driver with a current medical on his CDL, both in Missouri. He changed employers. This one runs out of Minnesota. Since he had his short form not his long, that company required that he have a new physical in Minnesota. They are telling him that Minnesotas physical superceeds the current MO. In MO, as long as your MO medical is current, attached to the CDL they give a 30 day grace period to attach the new physical. This new company is telling him no, he has 10 days from the physical or they ( i assume they mean MO, where we live ) will downgrade him. Any thoughts. 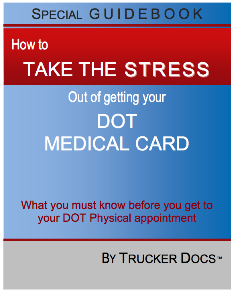 Is a health card still required if the single-unit truck is 26,000lbs, and so does not require a CDL under MN regs? Most states want a valid medical certificate to operate a commercial motor vehicle. You should check with your local drivers license department for a confirmation of this information though. I currently do not drive commercial truck but wish to retain my CDL for future. Do I still need a healthcard? Yes you still need a medical card, and you must provide your state drivers license department with a copy of a valid, current card. Check with your state to see if they will allow you to self-certify in an “excepted” category. If you can self-certify as excepted, then you don’t need a medical card while you are not driving. See this article on Self-Certification, for more information. I have never failed a dot phisical and this last phisical I passed with flying colors until dr. looked in my medical history which they have never done before and failed me because Years ago I was on depression medication and quit on my own and don’t have a primary dr? Why would that fail me and can I get a second opinion? You can get a second opinion. But to help everyone involved, see if you can get a release letter from your old doctor. With a release form completed by him, you answer most of the questions that any CME is going to have. What happens when you had a dot physical outside the state you live in and paper work was distroyedby wash machine . Do you need a Dot card/physical if you are a private contractor delivering payroll part time using your own personal car? Probably not. If something has triggered this question for you, then you may want to check with you local drivers license department. What do they test for in the urine sample? Do County CDL drivers from Iowa going into MN need to have medical cards – (in Iowa they are not required for County CDL drivers)? You’ll need to check with the respective state DMVs to see if you are exempt or not. No. One year is the FMCSA limit for anyone on blood pressure medication, and that pressure must be below 140/90. Otherwise you get a one time only three month card to get it under control. Absolutely, you can go to a different examiner. And file a grievance with the FMCSA. If they don’t know to look for this kind of abuse then they can’t do anything about it. There are no new requirements for the DOT Physical. Many people are confused about ‘new’ sleep apnea screening requirements which do not exist. See our blog articles on Sleep Apnea to better understand this issue. Can you get a CDL to drive intrastate in Minnesota if you have a defibrillator? You would have to check with your state DLD. If it was federal and interstate, then the answer is no.